An antique brass liquid Statute pint measure is one of the more unusual lots at the sale at Marshs in Cork on October 6. 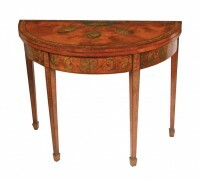 According to an inscription it was made in Cork in 1751 by D. Noster. 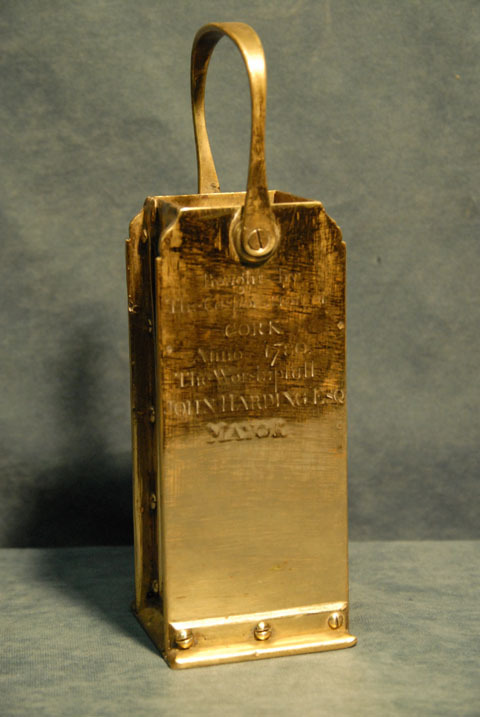 The Corporation of Cork bought it in 1780 when John Harding was mayor. 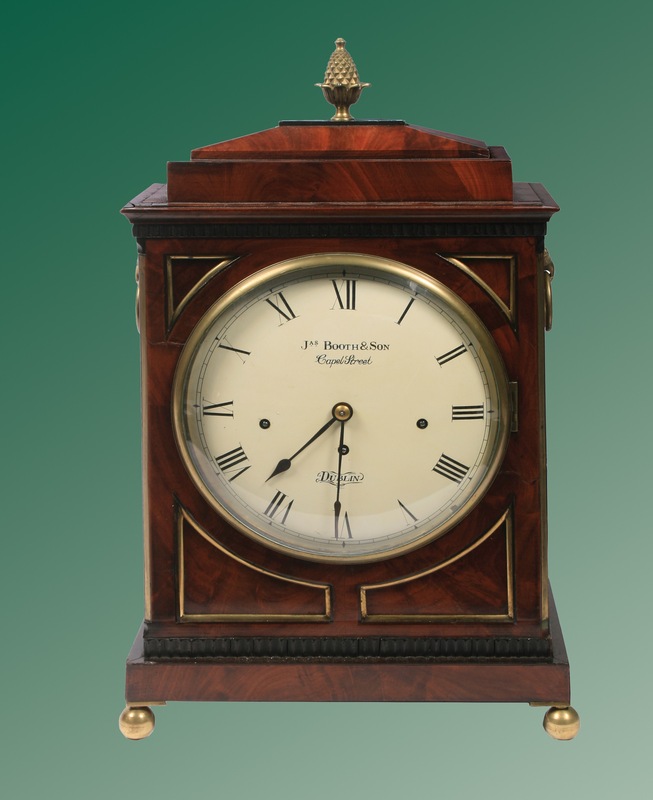 The nine inch high measure is believed to have changed hands at auction in New York in the 1890’s. It was bought by an Irish collector and brought back to this country. 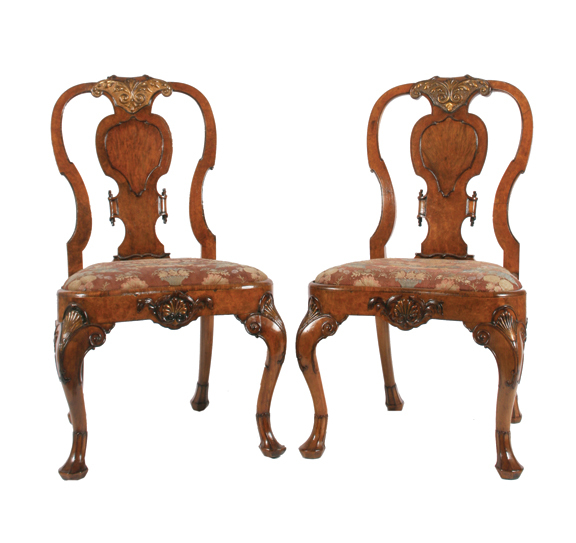 THE SECOND part of the Riahi collection, which holds a legendary position among the great collections of French furniture, will be offered at Christie’s in London on December 6. 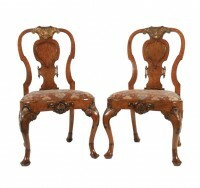 The name Riahi is synonymous with French 18th century furniture and works of art, collecting and connoisseurship. 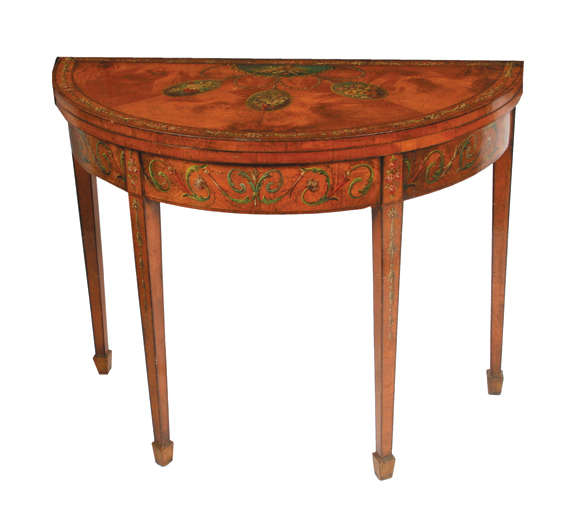 On offer is the very best mid 18th century marquetry and lacquer furniture, many pieces with Royal and illustrious provenance. 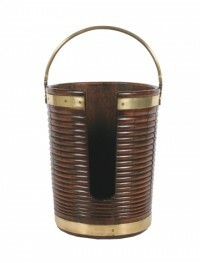 Comprising around 50 lots the collection was formed over half a century by M. an Mme. Riahi and is expected to realise more than £20 million. 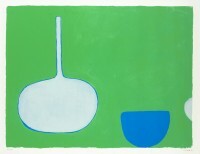 The sale of 59 lots from the first part of the collection in 2000 realised $40 million. Exceptional Louis XV lacquer furniture by Bernard II van Risenburgh is led by the magnificent ormolu-mounted Japanese lacquer secretaire-à-abattant, circa 1755 (£3,000,000 – 5,000,000) illustrated above on the left. It is almost certainly from the collection of Mme de Pompadour, as recorded in Lazare Duvaux’s journal of 19 February 1757. 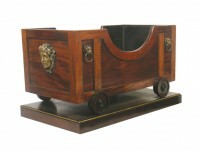 It entered the collection of Dukes of Richmond at Goodwood House, Sussex in 1765, where it remained until 1993. The pair of silver soup tureens illustrated in the centre above are by King Louis XVI of France’s goldsmith Robert-Joseph Auguste (1723-1805). They are estimated at £400,000-600,000. A further highlight is a Louis XV ormolu-mounted Chinese celadon porcelain pot-pourri vase and cover, Kangxi (1662-1722), with mounts dating to circa 1740. This unusual vase can be traced back to 1756, when it was sold from the collection of Marie Joseph d’Hostun, duc de Tallard. Many of the pieces in his collection came from the cabinet of the Dauphin, son of Louis XIV, whose property was sold to different collectors after his death. 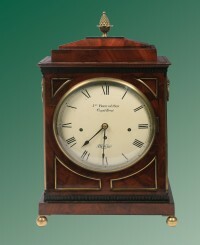 Illustated on the right of the image above it is estimated at £250,000-400,000. 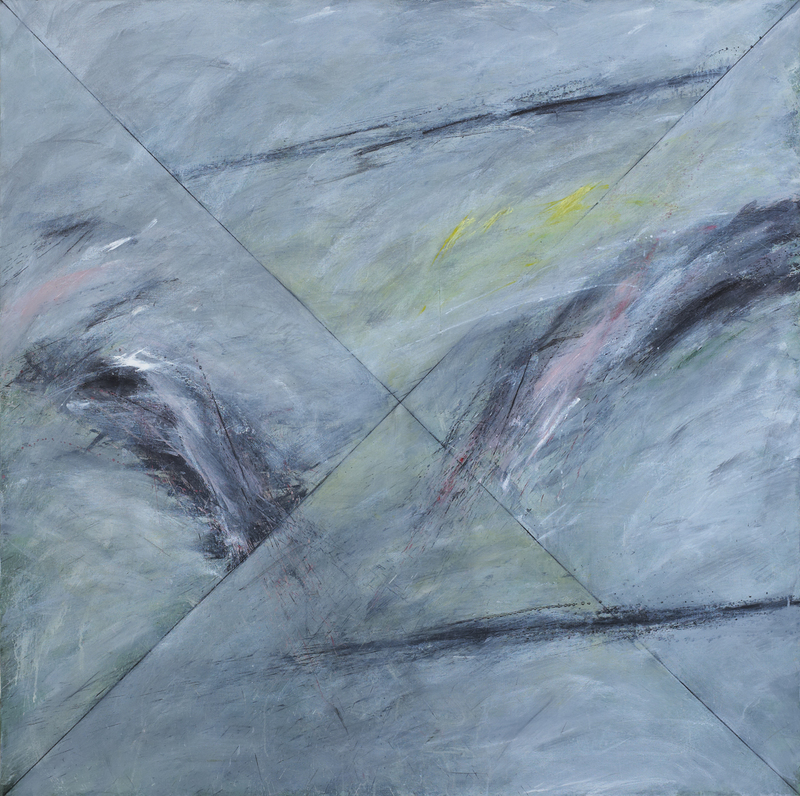 Charles Tyrrell (b1950) – Plunge (1988) (6,000-8,000). UPDATE: THIS WAS UNSOLD. 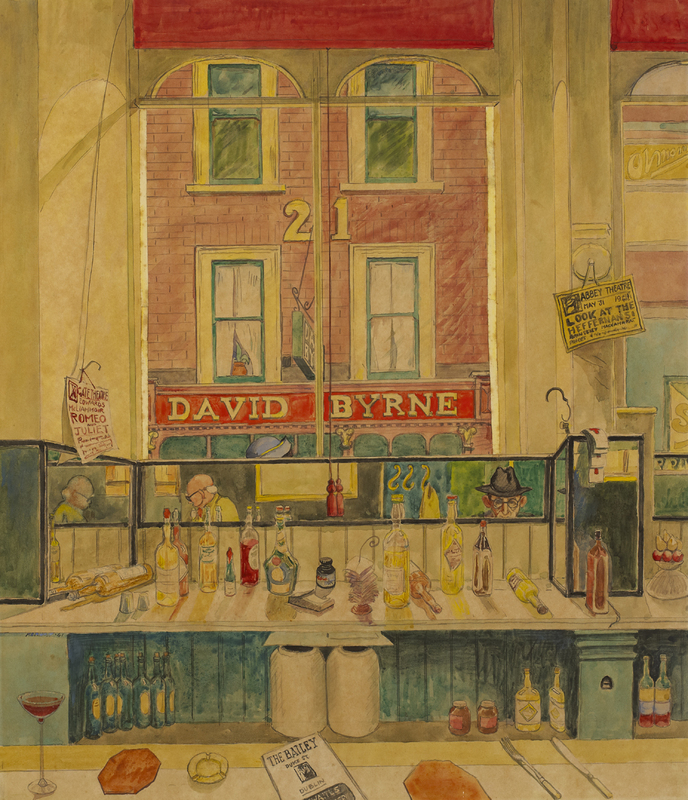 Harry Kernoff RHA (1900-1974) – DAVY BYRNE’S PUB, DUKE STREET, FROM THE BAILEY, DUBLIN, 1941 (30,000-50,000). UPDATE: THIS MADE 29,000. 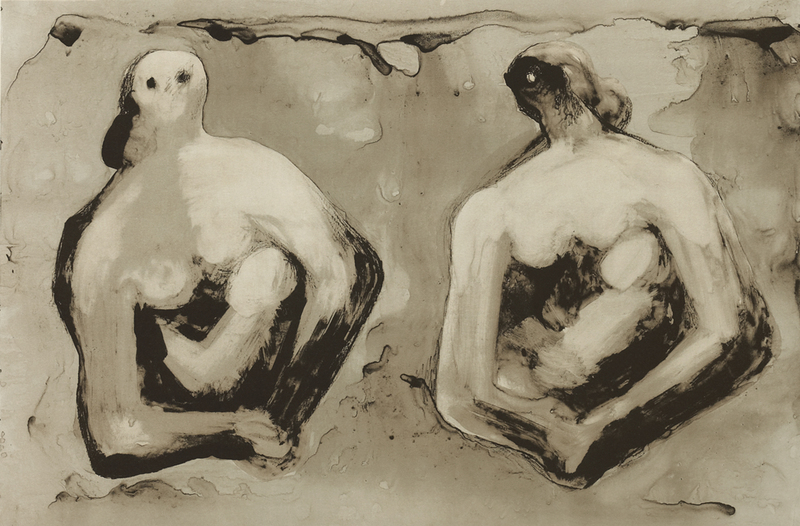 Henry Moore OM CH FBA(1898-1986) – SISTERS WITH CHILDREN, 1979 (700-900). UPDATE: THIS WAS UNSOLD. Patrick Scott HRHA (b.1921) – MP 15, 2006 (5,000-7,000). UPDATE: THIS MADE 5,000. 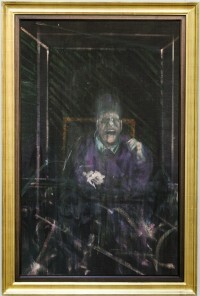 Untitled (Pope) by Francis Bacon at Sotheby’s. (Click on image to enlarge). UPDATE: IT MADE $29.7 MILLION. A Screaming Pope by Francis Bacon painted in 1954 will feature at Sotheby’s contemporary art evening sale in New York on November 13. The vision of screaming Popes emerged from the desolate shadows of the Second World War as humanity tried to make sense of the horrors that had been committed during those years. 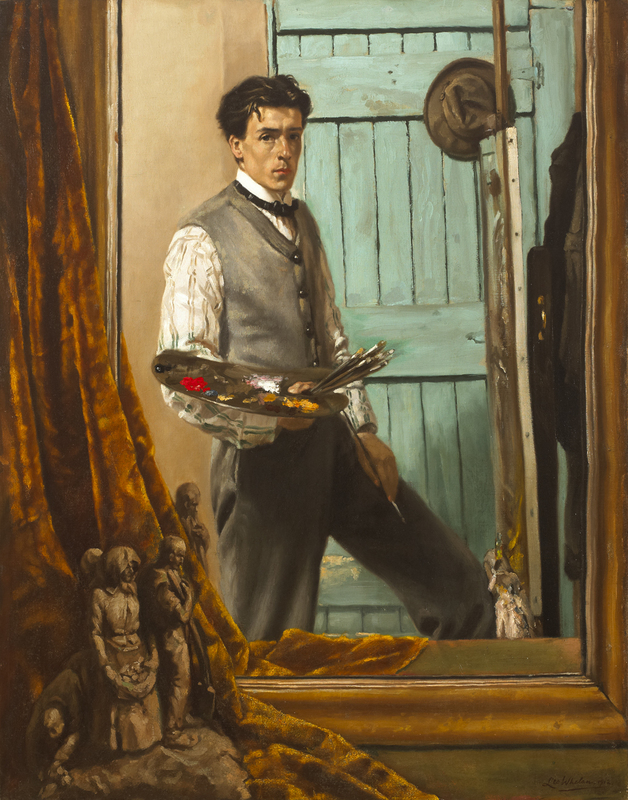 This version is closely related to the artist’s Study after Velázquez’s Portrait of Pope Innocent X, the seminal masterpiece now housed in the Des Moines Art Center in Iowa. 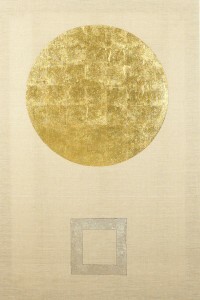 It has been in the same private collection since 1975. 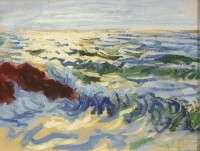 The Papal imagery and its inspiration first started to appear in Bacon’s work in the late 1940’s. This version is more closely allied to a cycle of eight Study for Portraits from 1953 created for an exhibition at Durlacher Brothers in New York. The series is based upon the 1649 state portrait of Pope Innocent X by Diego Velázquez, court painter to King Phillip IV of Spain. Velázquez dutifully portrays Innocent as the most powerful man in the world surrounded by the luxurious trappings of his office, yet also as a fallible mortal who must face the burdens and pitfalls of his position. In Untitled (Pope) Bacon removes the idiosyncrasies of the grand state portrait. They are replaced by a more intimate depiction of pain and suffering inspired by the screaming nurse figure in Sergei Eisenstein’s 1925 movie The Battleship Potemkin and the clenched fist from Edweard Muybridge’s photograph Striking a Blow with the Right Hand. It had been thought that Bacon had not seen the Velázquez original when he painted this circa 1954 work. New research suggests that he could have been familiar with another version of the Innocent X painting. A smaller rendering belonged to the Duke of Wellington and was housed at Apsley House in London, just a short walk from Bacon’s studio at the Royal College of Art. 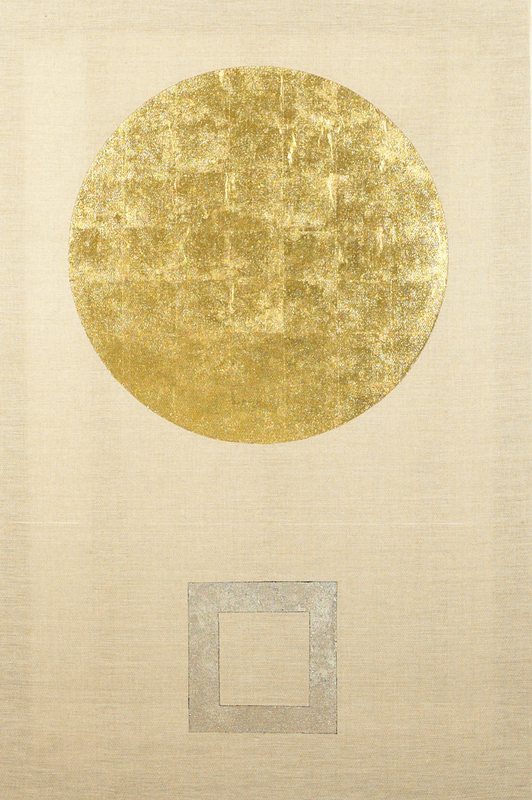 Untitled (Pope) is estimated to fetch $18/25 million. UPDATE: IT MADE $29.7 MILLION. 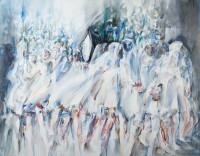 le Brocquy’s Procession with Lilies made 320,000 at James Adam. (Click on image to enlarge). The sale of Procession with Lilies for an above estimate 320,000 at James Adam last night demonstrates that even in a deep recession a good, big Louis le Brocquy is cherished by the market. 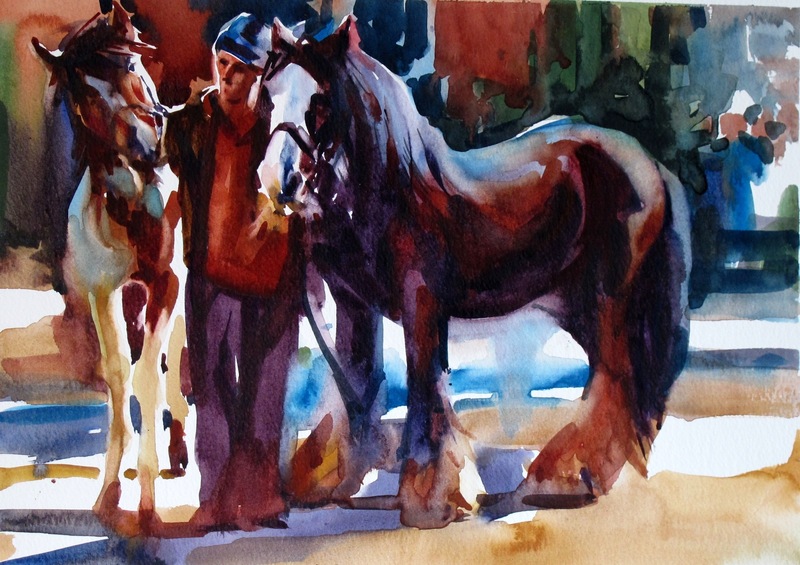 This one was large and it had all the wow factor that major works by the Irish artist who died last April possess. 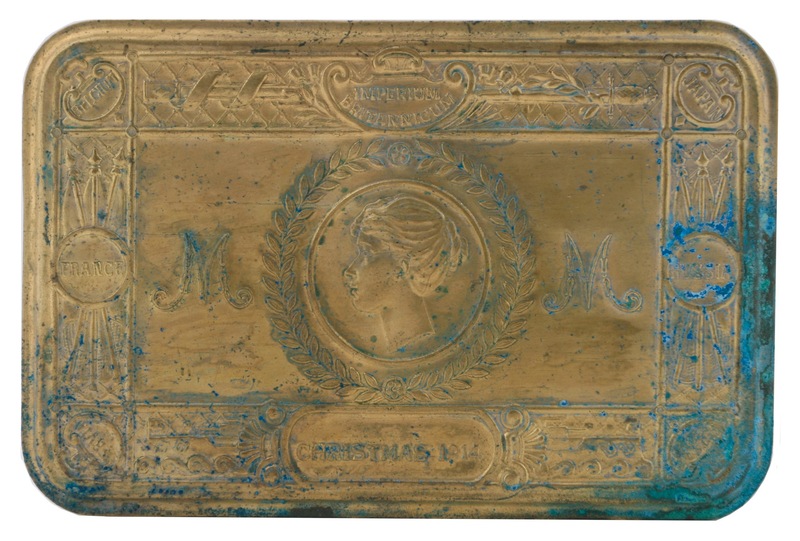 No less than three bidders chased the work, which had elicited an enthusiastic response from viewers at the auction, beyond the high estimate of 250,000. One was from the UK, another was a Dublin collector and the third and eventual winner was an Irish collector who is not based in the capital. It was the top lot in a sale where more than 75% of the paintings on offer found buyers. Procession with Lilies was the most important piece of the art in the corporate collection of Independent News and Media which was sold. 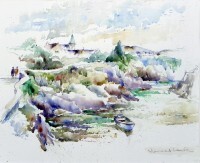 (See post on antiquesandartireland.com for August 21, 2012). 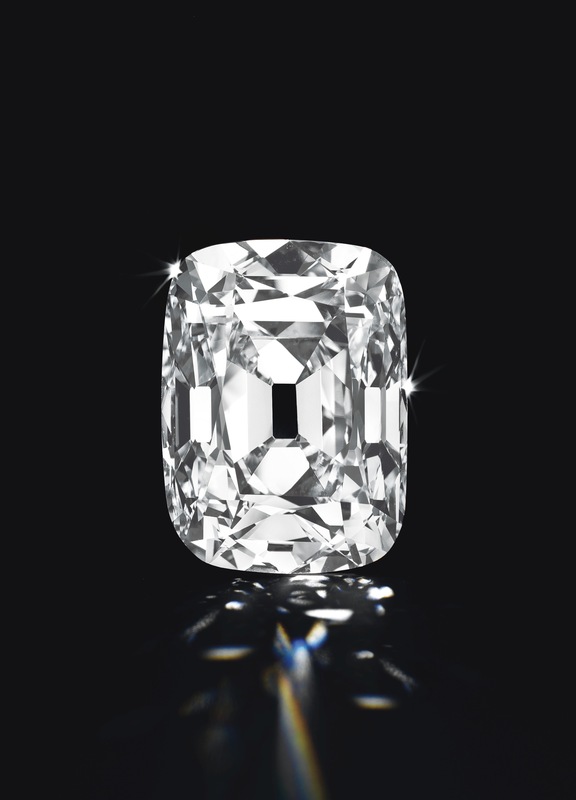 ONE of the rarest diamonds in the world, the 76.02 carat Archduke Joseph Diamond, will be offered at Christie’s in Geneva on November 13. The stone combines size with perfect colour and internally flawless clarity and is expected to make well in excess of US$15 million. The date it entered the House of Habsburg is unknown but it was officially recorded as the property of the Archduke Joseph August of Austria, Palatine of Hungary (1872-1962), and was subsequently named after him. The Archduke probably passed on the diamond to his son, the Archduke Joseph Francis (1895-1957), as records show that he deposited it in the vault of the Hungarian General Credit Bank on June 1, 1933. The diamond was sold three years later to an anonymous buyer who left it in a safe during World War II. 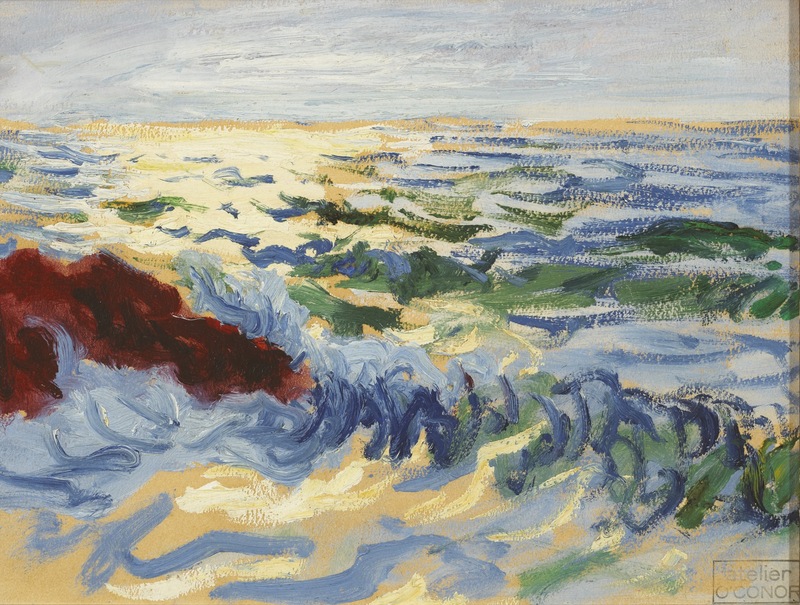 It re-appeared in 1961 at auction in London and was last sold at Christie’s in Geneva in 1993 for US$ 6.5 million, the equivalent of $10.5 million today. The Archduke Joseph Diamond shares its Golconda origins with the most beautiful and illustrious diamonds in the world, including the Koh-i-noor, in the Royal Collection at the Tower of London; the Regent, considered the finest diamond in the French Crown Jewels, at the Musée du Louvre in Paris; and the Hope, gifted by Harry Winston to the Smithsonian Institution in Washington D.C. Located in South Central India, the Golconda diamond fields were an ancient source that traces its roots back to 400 B.C. Eric Clapton’s amazing timepiece will highlight Christie’s sale of important watches in Geneva on November 12. 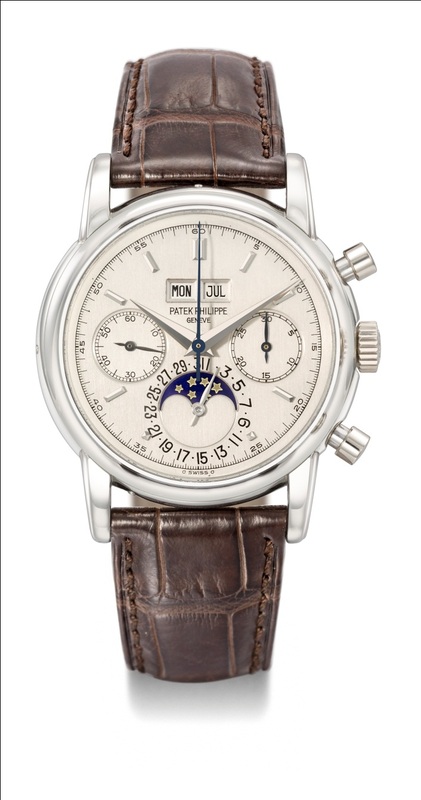 The ultra-rare platinum perpetual calendar chronograph reference 2499/100 Patek Philippe masterpiece, estimated at SFr.2,500,000-4,000,000, leads a sale of 310 lots. Other highlights include a unique platinum wristwatch, ref. 2458, made in 1952 for the legendary collector J.B. Champion estimated at SFr.2,000,000-4,000,000 and a platinum chronograph wristwatch manufactured in 1946 (SFr.1,000,000-1,500,000). Both pieces are by Patek Philippe. 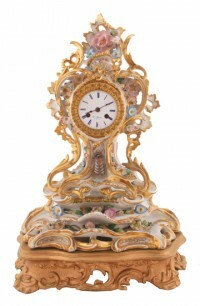 The sale will feature a private collection of antique enamelled watches made for the Chinese market. Gerhard Richter’s 1994 oil on canvas Abstraktes Bild (809-4) from the collection of Eric Clapton will head Sotheby’s contemporary art evening auction in London on October 12. UPDATE: It made £21,321,250, a new record for a work by a living artist. 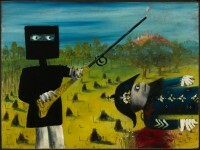 Sidney Nolan, Ned Kelly, 1946, enamel on composition board, – Gift of Sunday Reed 1977. (Click on image to enlarge). 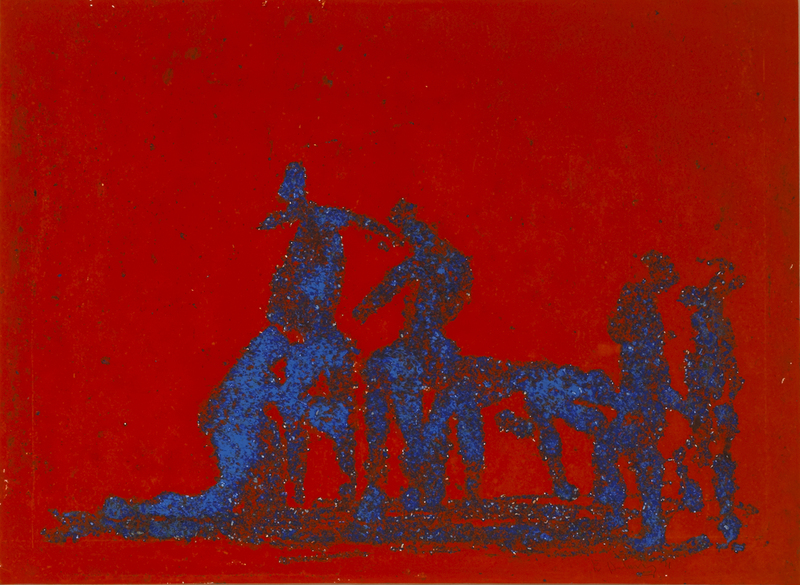 Sidney Nolan, Death of Sergeant Kennedy at Stringybark Creek, 1946, enamel on composition board, Purchased 1972. (Click on image to enlarge). 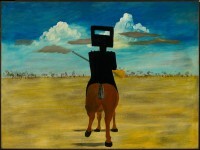 The iconic Ned Kelly series by Sidney Nolan is to be exhibited at the Irish Museum of Modern Art (IMMA) from next November 2 to January 27, 2013. 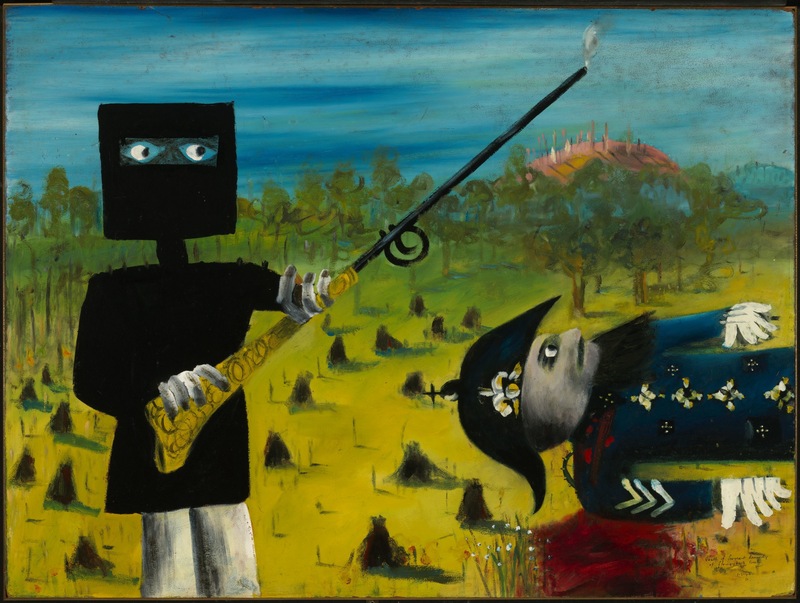 Set in the Australian landscape the series takes the form of stylised depictions of the exploits of the notorious bushranger Ned Kelly and his gang in the Australian outback. Painted in 1946-47 the works represents a breakthrough for Sidney Nolan and a defining moment in Modernism and Australian art history. 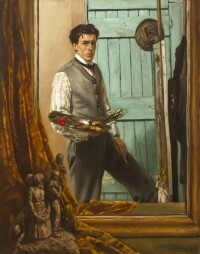 Originally at Heide Museum of Modern Art, Melbourne, where Nolan painted 26 of the 27 works in the series at the home of his friends John and Sunday Reed, they were gifted to the National Gallery of Australia in 1977. No less than 26 works are on loan from the National Gallery of Australia in Canberra. The artist and the outlaw have strong Irish connections. 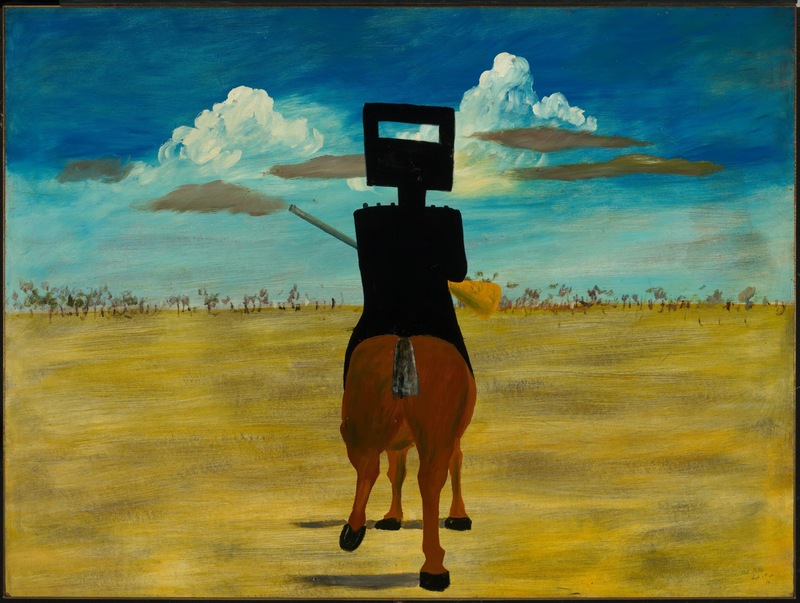 Sidney Nolan (1917-1992) had a close attachment to the land of his ancestors. 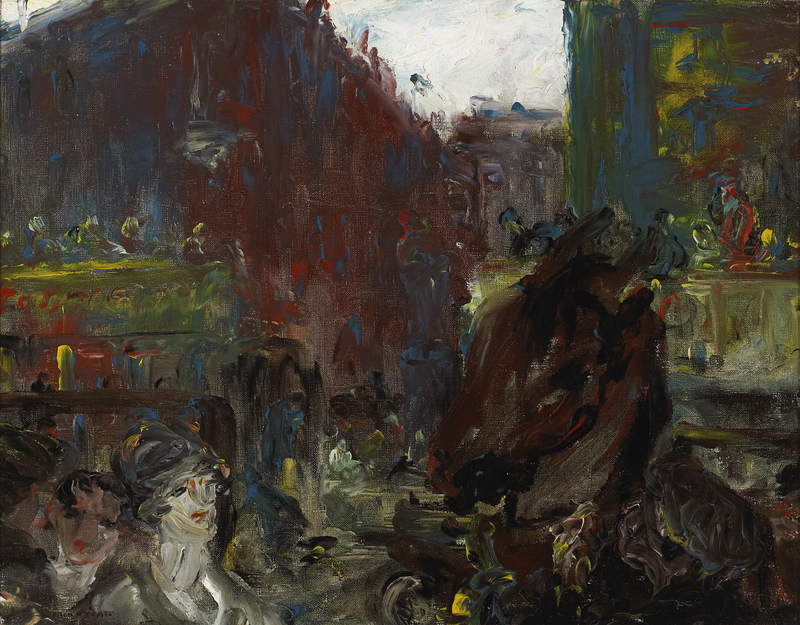 He left a permanent legacy when he donated paintings from his Wild Geese series to IMMA at its founding in 1991. The series highlights deep historical and cultural links between the two countries. From porcelain Parisian clocks to Irish 18th century chairs to a side table attributed to the renowned Dublin cabinet maker William Moore there is much to interest collectors at Sheppards. Their three days sale of 1,617 lots at Durrow in County Laois on September 25, 26 and 27 is fittingly entitled “The Legacy of the Big House”. Here is a small selection. The entire catalogue is on-line. Louis XVI period Paris porcelain Rococo scroll mantle clock on stand, Henri Florentin Chanon et Comp with bee decoration (1,400-1,800). UPDATE: THIS WAS WITHDRAWN. Irish George III period mahogany and brass bound plate bucket (2,500-3,500). UPDATE: THIS WAS WIHDRAWN. Large 19th century Copeland Parian group (400 – 600). UPDATE: THIS MADE 540. ‘Forty Foot Bathing Scene, Sandycove, Co. Dublin’, by John Short. 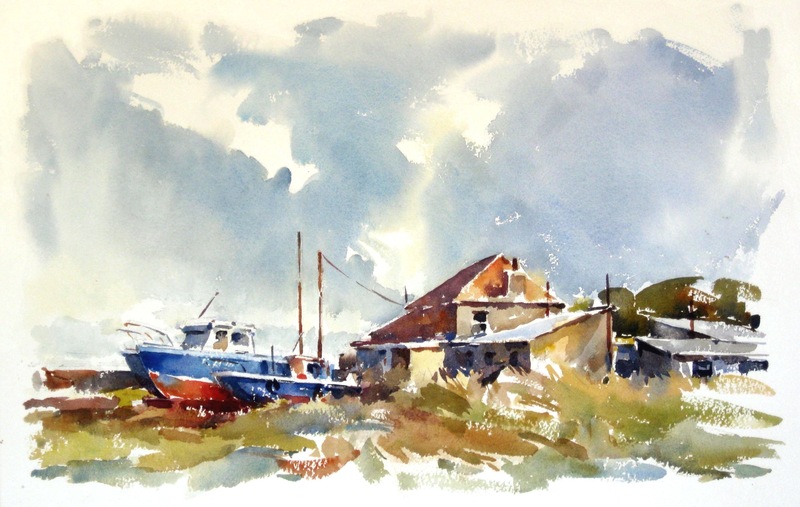 Works by no less than 110 artists feature at the Water Colour Society of Ireland’s show at Dun Laoghaire Co. Hall from September 24 to October 6. 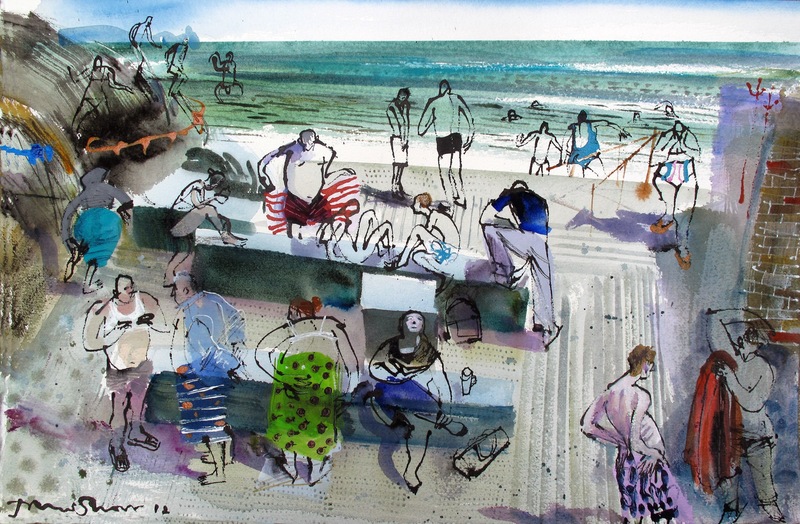 More than 290 paintings in watercolour, gouache and pastels, as well as drawings and prints are on show. The catalogue cover image is ‘Forty Foot Bathing Scene, Sandycove, Co. Dublin’ by John Short, pictured on the left. This is the 158th exhibition of the Society and one of the country’s largest group shows. 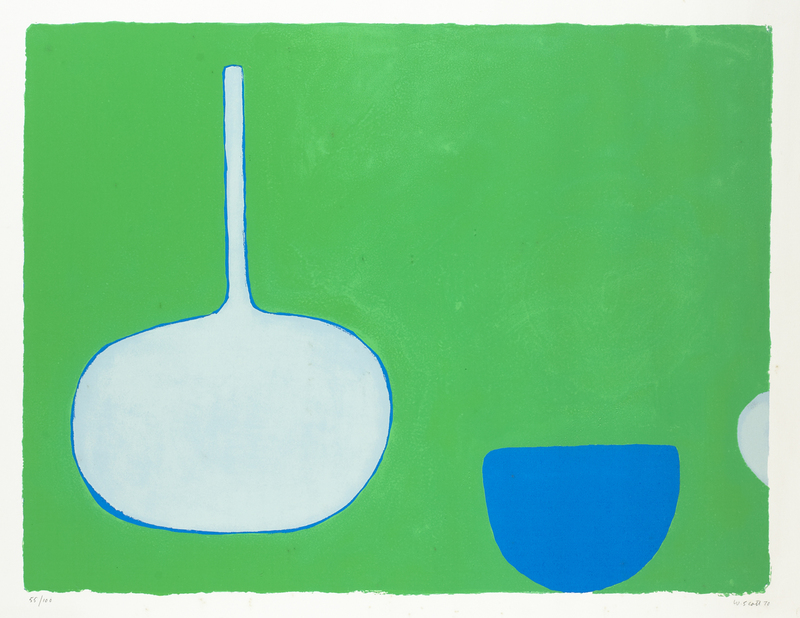 It includes work by members of the Royal Hibernian Academy and the Royal Ulster Academy. 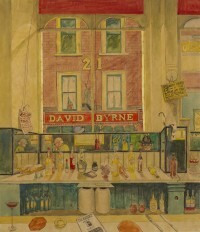 The Water Colour Society of Ireland was founded in 1870. Below are some other examples. You can click on any image to enlarge it. Patrick Cahill – Between Two Heavies. 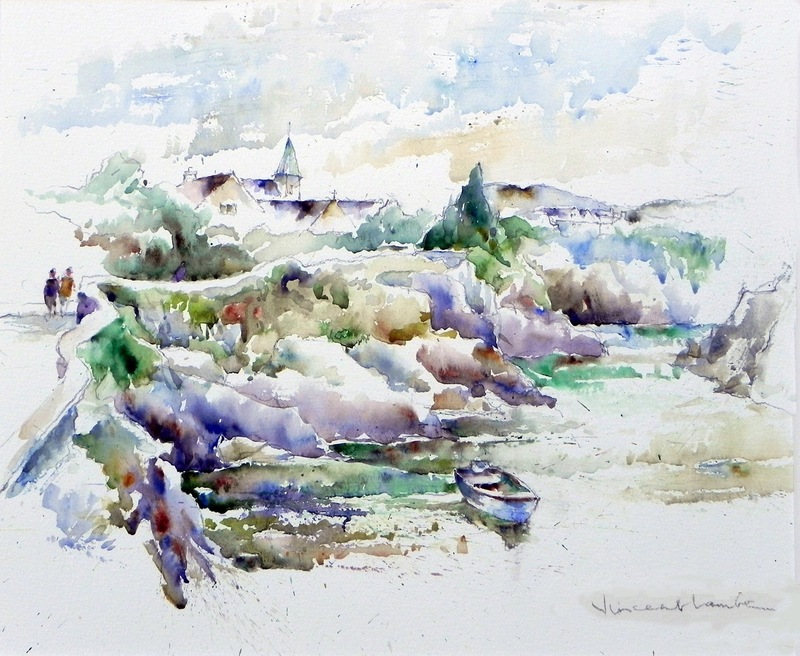 Vincent Lambe – The Harbour at Goleen West Cork.